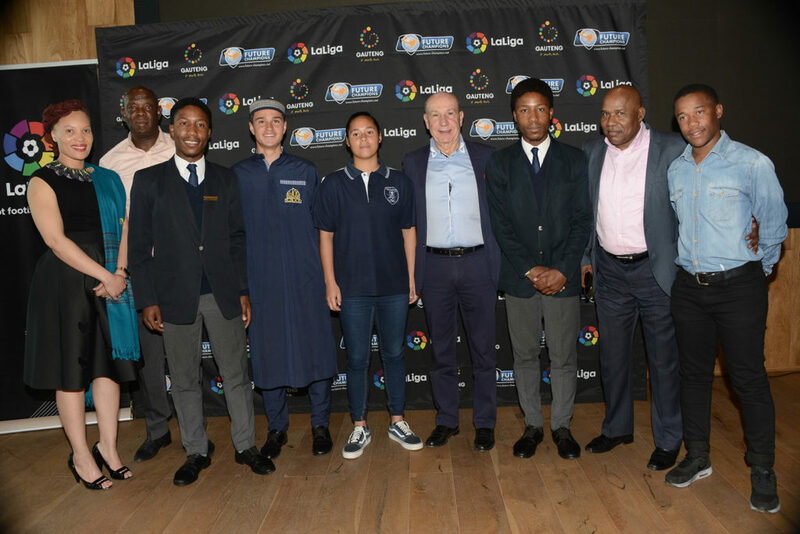 In partnership with Future Champions as well as the Gauteng Provincial Government, LaLiga Santander – one of the world’s top professional football leagues – will be sending four promising young South African footballers, plus a Future Coach on the trip of a lifetime to Spain in October. This year will mark LaLiga’s 3rd year of partnership with the prestigious Future Champions Gauteng Project. The project celebrates its 10th year anniversary in 2018, this means it’s been a decade filled with inspiration, endless opportunities and the improvement of the Beautiful game. This year, instead of the usual lucky three, four exceptional players who were identified through the Future Players Talent Search have been invited to join LaLiga in Barcelona. “One of our selections for the tour, Nkanyiso Maphosa, is a twin. Upon close review of the scores, it appeared that his brother also performed remarkably well, coming in at a very close fourth place. Under these unique circumstances, we knew it was the right thing to do to extend the invitation to his brother, Khanyezi, as well,” said Antonio Barradas, Africa Director for LaLiga. In addition to the Future Players selectees, 2018’s Future Coach winner, Andile Zulu, who is a coach of Soweto’s White City Spurs, will accompany the group to Barcelona to hone his skills among the finest football clubs and instructors in the world – and bring even greater levels of mentorship to the game right here in South Africa. “Football is central to the Spanish way of life, with LaLiga forming an important part of this culture. The winners will get the chance to train with LaLiga clubs and it’s our hope that this helps them in both their personal and career development,” said Barradas. “Part of the reason that we as LaLiga continue to be part of Future Champions is because of our ongoing commitment to help develop football from a grassroots level. It’s been a pleasure to once again be involved in this initiative and we wish the winners all the best during their travels”. The Future Players Talent Search has seen some notable successes through the years, not least Banyana Banyana star Refiloe Jane, who was identified in 2009, has been to two Olympic Games and recently signed a contract with Australian side Canberra United. “Every year we are delighted with the quality of the players that we see in the Future Players Talent Search and it becomes harder and harder to pick the winners,” Future Champions Gauteng project director Ray Whelan said. The Gauteng Provincial Government is another key stakeholder in the Future Champions programme, both in a sporting and educational context. “We hope the players and coach come back enriched with knowledge and understanding of what it takes to succeed at the highest level. This is a once-in-a-lifetime opportunity to travel to one of the world’s great footballing nations and a reward for all the hard work and dedication that has got them to this point,” said Gauteng MEC for Sport, Arts, Culture and Recreation, Ms Faith Mazibuko. To wish the 2018 Future Champions all the best on their journey, supporters are encouraged to gather for the group’s send-off at OR Tambo International Airport on 28 September 2018.